Zurvita, a Houston based company, has entered into a contract with RiceBran Technologies™ for the use of their proprietary Stage II product which is produced through a non-chemical process of extrusion. It protects rice bran’s nutritional value and safely deactivates the Lipase enzyme, which when present, turns rice bran’s natural oils rancid in a short period of time. Stabilized Rice Bran is the source of a newly discovered complex or vitamin E and tocotrienols, along with tocopherol, the compound generally called vitamin E. Tocotrienol compounds are 40-60 times more potent than other antioxidants, the vital nutrients that fight free radicals in our bodies. Free radicals may cause premature aging and degenerative diseases. Rice bran contains over 100 of these antioxidants and co-factors to help you feel young and healthy and supply your body with more than its daily nutritional needs. This proprietary formula is part of the “Enrich” blend found in the Zeal Wellness formula flavors “Wild Berry”, “Bold Grape” sold at various countries and the latest, long awaited, Gluten-Free and Vegan formula “Tropic Dream”! Enrich Blend delivers a complete spectrum of nutrition including Stabilized Rice Bran, moringa oleifera, blueberry powder, cranberry powder, broccoli sprouts and alfalfa sprouts. The “whole” food, moringa oleifera (leaf), is a unique super green food grown in India and contains more than 60 separate nutritional elements. It has been used for thousands of years in Ayurvedic medicine to support good health and nutrition. “Enrich” is designed to enrich your body with whole food concentrates. With Stabilized Rice Bran and Moringa Oleifera as just 2 of 10 powerful superfoods, which will feed your body what it needs to be healthy. Interested in healthy aging? Restore Blend contains polysaccharides to promote cellular health and youthfulness with a unique cellular health ingredient. This blend delivers nutrients concentrated 200 times to create an extremely effective and powerful component. Because of this high concentration, one serving of Zeal contains the healing power comparable to drinking 64 ounces of aloe juice. As the body absorbs these nutrients, immune cells are literally “galvanized into action.” The Restore blend is also packed with natural amino acids vital to your body’s ability to work and recover on its own. “Restore” contains a blend of powerful botanicals to restore your body’s cells to a youthful level and help you to recapture your youthful Zeal for Life. 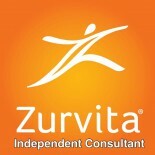 This is Zurvita’s own proprietary formula and is it changing lives! Start every day with Zeal Wellness and put some Zeal in your life! Check out Zurvita’s Medical Advisory Board and download the Doctor’s Report on Zeal Wellness! Thank you for your interest in our products. Per our email we are not yet ready to market in the Continent of Africa. We will be sure to contact you as soon as we know of our plans to expand into your country. We have you on our waiting list with all interested in joining us. Mexico is next on our launch list. Greetings, we currently do not market our products in the Continent of Africa. We hope to expand soon! This entry was posted on February 11, 2015 by Zurvita.com/HealthRoads in Australia, Available Countries, Business Opportunity, Canada, Diet, Functional food, Healthcare, Hong Kong, Ingredients, Nutrition, Republica Dominicana, Reviews, Singapore, United States, Zeal For Life, Zeal For Life Consultant, Zeal For Life Products, Zurvita Events and tagged acai, alfalfa sprouts, amino acids, antioxidants, aryuvedic, athletic performance, ayurvedic, B complex, blueberry powder, broccoli sprouts, cranberry powder, degenerative diseases, FDA, Food and Drug Aministration, free radicals, fulvic minerals, Functional Foods, gluten free, glutenfree, ionic minerals, iron, lipase, Lipoic acid, magnesium, manganese, Manganese and Phosphorus, medicinal value, metabolism, Moringa oleifera, muscles energy, NFF, Non-chemical, polysaccharides, premature aging, RiceBran Technologies, stabilized rice bran, SuperFoods, tocopherol, tocotrienols, tropic dream, vegan, z-srb, zeal for life, zeal wellness formula, Zurvita, zurvita consultant, Zurvita Dominican Republic, Zurvita Republica Dominicana, Zurvita Singapore, Zurvita United Kingdom.